Without a doubt, one of the most significant annual events in high school life is homecoming. Aside from being a super fun event with memories that will last a lifetime, it’s also a chance for girls to get all dressed up. In addition to cute dresses and makeup, you also have to do some research on homecoming hairstyles. 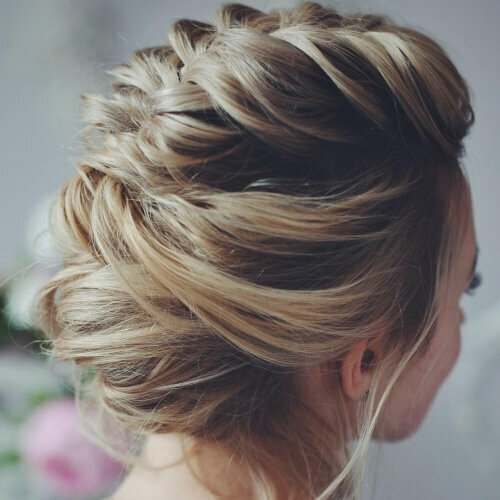 As we always want to be your helping hand, here are some of the hairstyling ideas that melted our hearts. 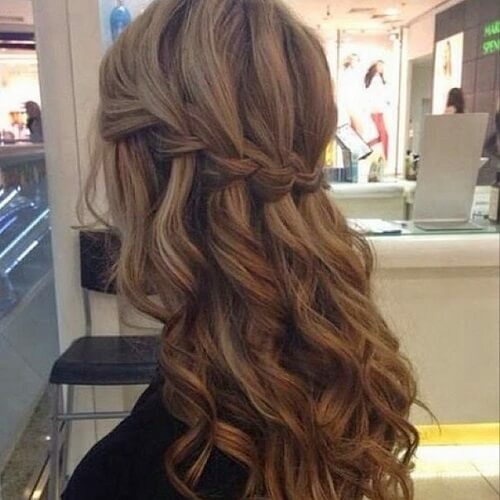 We’ll start with a simple yet memorable hairstyle you can try out for homecoming. It requires just a couple of minutes of styling, provided you have already straightened your hair. All you have to do is take a thicker strand above your ear and twist and pin it to the side. Another delightfully easy homecoming hairstyle requires just a curling iron and some hairspray. 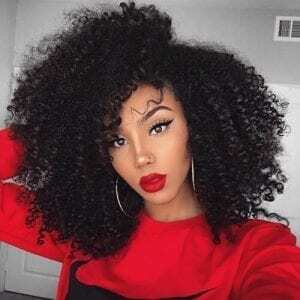 Make sure that your curls aren’t too tight so you can obtain this soft and lovely result. We warmly recommend this idea for girls with long hair. If your hair is just about mid-length, this is one of the most flattering hairstyles you can play around with. Even more so, it won’t take a lot of time to put together. The secret is to part your hair half up half down and create two ponytails, masking the lower one with the top part. Time and time again we’re reminded that the utmost elegance is found in simplicity. In this regard, you can keep your hair down for homecoming with loose curls. To spice up the look a bit, just add your favorite hair pin to the side, above your ear. Short hair can often prove to be a challenge for homecoming hairstyles. However, finger curls or retro waves are a recipe that you can never go wrong with. Make sure you stock up on plenty of hairspray though, as you’ll need it to keep your curls in place. To boost the refinement of your appearance even more, consider a complex updo. 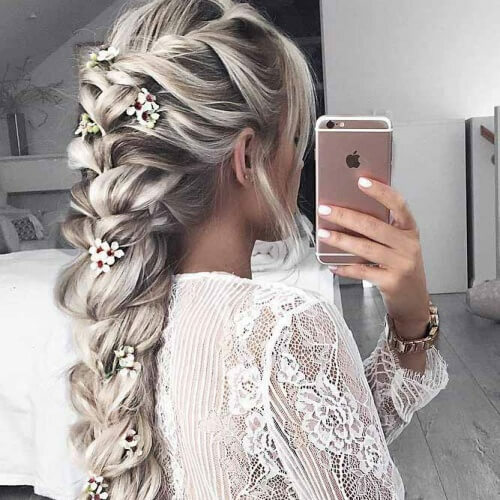 In this photo, for instance, you can see how the top part begins with a side French braid, continues with a fishtail braid and ends in a remarkable knotted chignon. Braids are always an option to think about for homecoming hairstyles. If you don’t want to go over the top with your look, think about some low braided pigtails. They’re perfect if you’re aiming for a semi-formal cool appearance. 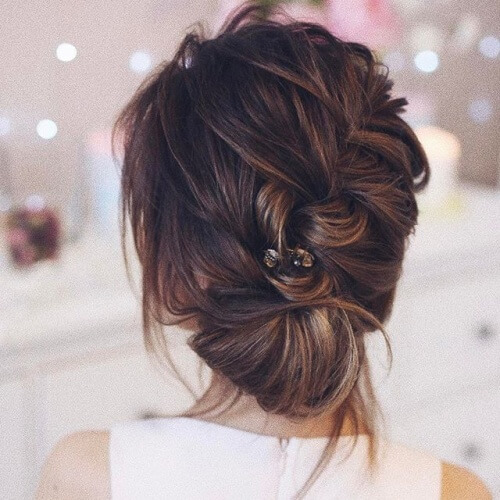 If there’s a hairstyle we can never get enough of, it’s the messy bun. 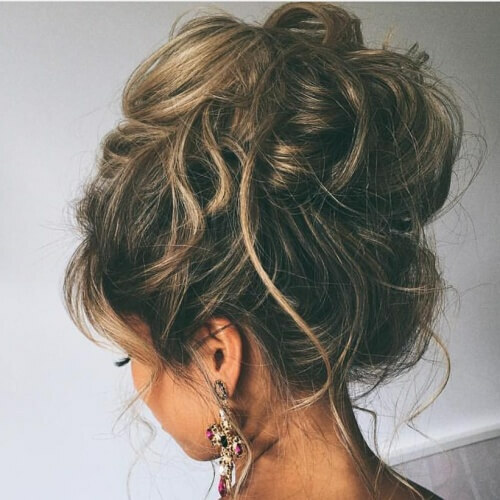 Contrary to what the term “messy” might initially inspire, these types of updos are full of femininity. You can put your updo together and then gently pull on the sides to get the spectacularly messy result. Dealing with thin hair can be tricky at times, especially if you’re prepping for a formal event. Nevertheless, updos are here to save the day with a good dose of natural volume. Think about teasing the top part of your updo for even more dynamism. Queen RiRi never ceases to amaze us, especially when it comes to versatile hairstyles. One of our favorite looks that she sported was this loose updo, with a few strands left down in the front. It’s an amazing idea for girls with curly or wavy hair. Afro-textured hair can be beautifully styled in a multitude of ways. 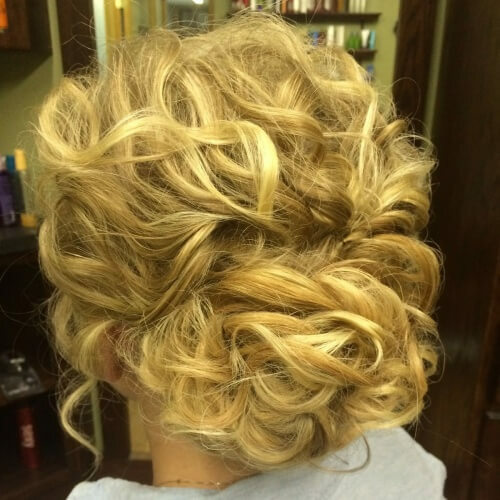 If you’re thinking about experimenting with something special for homecoming, you can try this twisted updo. Make sure your hair is well-hydrated and start twisting larger portions at a time until you reach your nape. What can be cuter than twisting your hair into a bow? 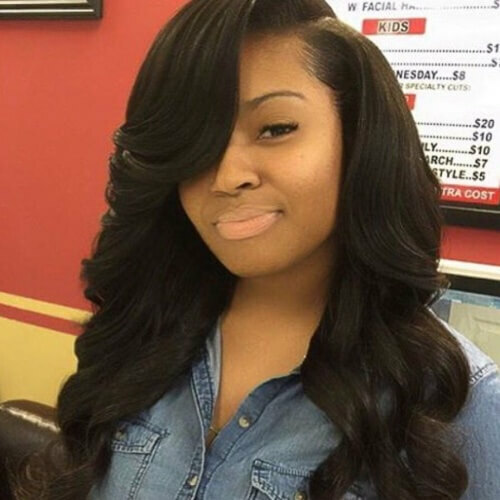 This is one of the most original half up half down hairstyles on our list, with the soft curls as a nice finishing touch. Don’t hesitate to try it if you have longer hair. Why get one braid when you can combine two in a gorgeous tiara? 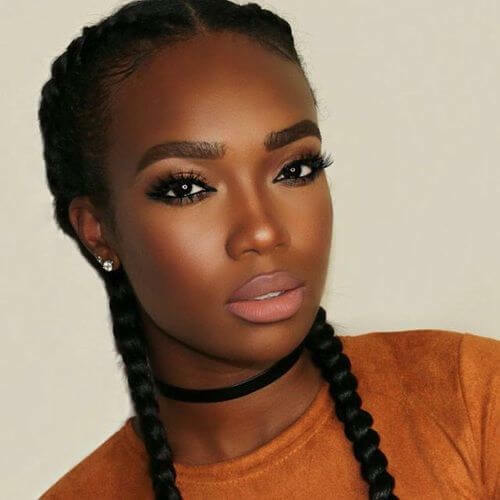 We are head over heels in love with this look, starting from the waterfall braiding technique in the front to the effect created with both braids in the back. If you have naturally curly hair, you’re one lucky gal! 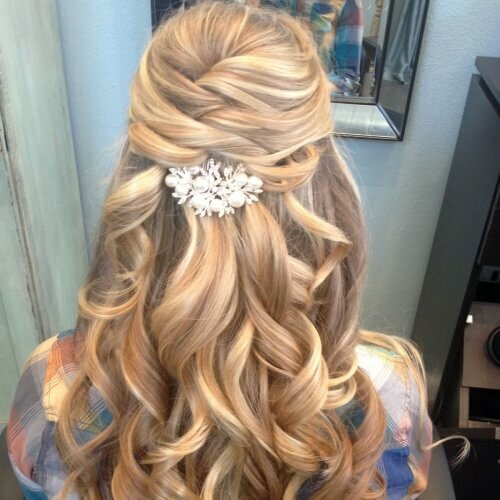 As you have already noticed, a lot of homecoming hairstyles involve curling your hair. 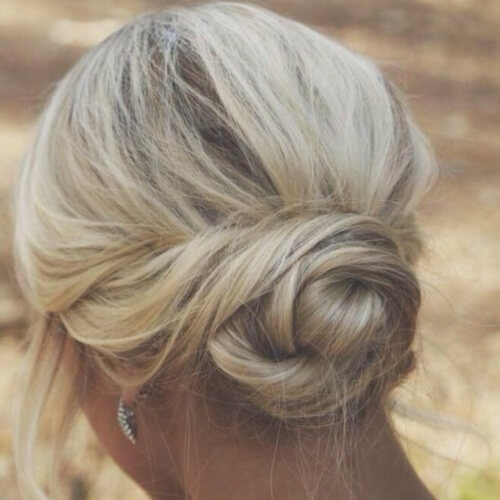 You can skip this step and get to twisting your curls into a romantic updo. You’ll soon notice a pattern with half up half down homecoming hairstyles, and we can easily understand their popularity. This one steps up the game with two types of braids and a cute pearl tiara on top. 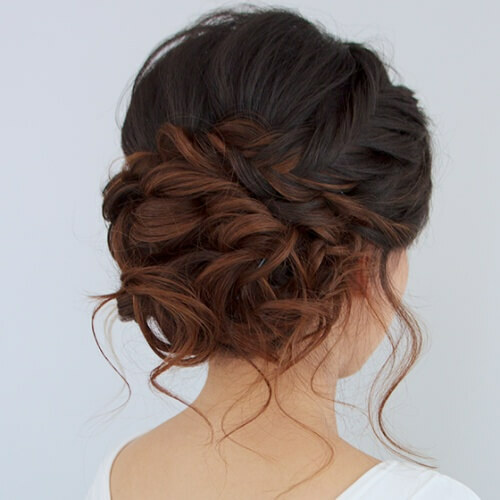 A bunch of homecoming hairstyles involve waterfall braids, but you should know that you can keep it simple too. In other words, you can easily create one waterfall braid in the back and gently curl the strands that fall through the main braid. Get that volume, baby! 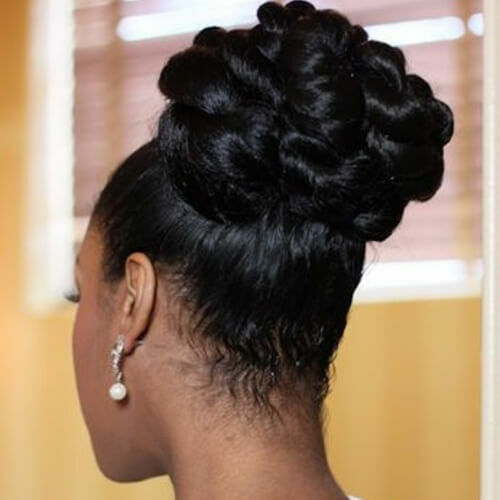 With an updo like this one, you won’t have to worry about your hair seeming too flat. The wide tiara braid and the loose strands all around also contribute to the fabulously voluminous outcome. Tiaras or crowns made of braids can be achieved in multiple ways. In this example, you can see how two main braids were wrapped around to get that royal result. It’s an excellent idea for girls with highlights who want to accentuate the colors in their hair. 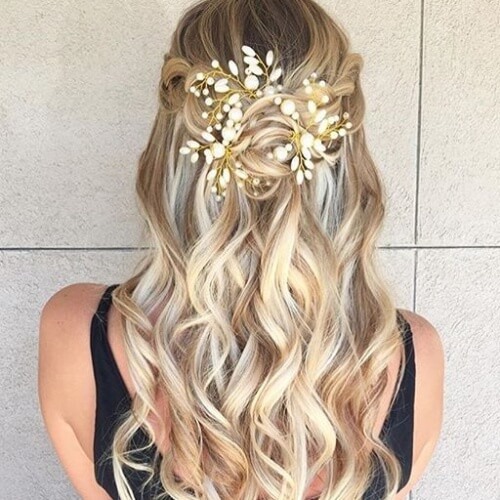 A hair accessory is enough to bring any typical homecoming hairstyle to life. Nonetheless, the larger the accessory, the simpler your jewelry should be. We don’t recommend going over the top with lots of large details combined. If you have ombre hair, you should definitely think about styling your hair in an updo for homecoming. Not only will the two colors be enhanced individually, but you’ll also enjoy a ravishing hairstyle fit for homecoming queen. Let’s say that your dress is full of details, or perhaps you chose statement jewelry pieces to go with your gown. 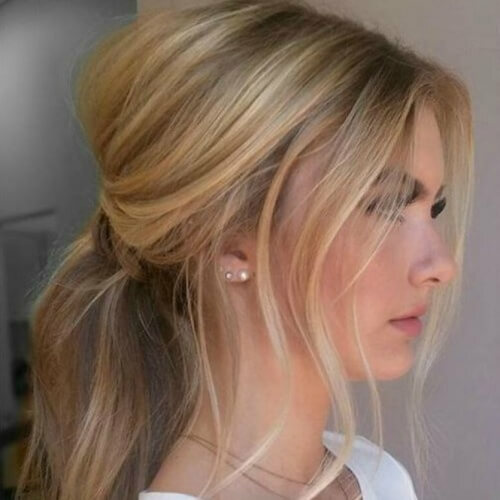 In these cases, we strongly recommend toning the rest of your look down with a simple hairstyle like this twisted ponytail. 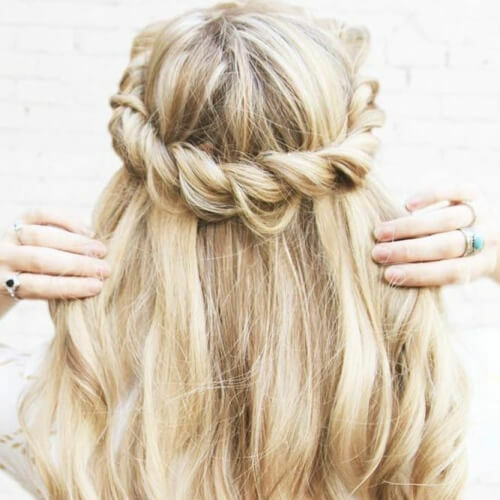 Instead of opting for a braided crown, you can experiment with a twisted halo. One of the prettiest parts about this hairstyle is that it creates the illusion of a crown literally resting on your head. Moreover, it works for medium and long hair alike. 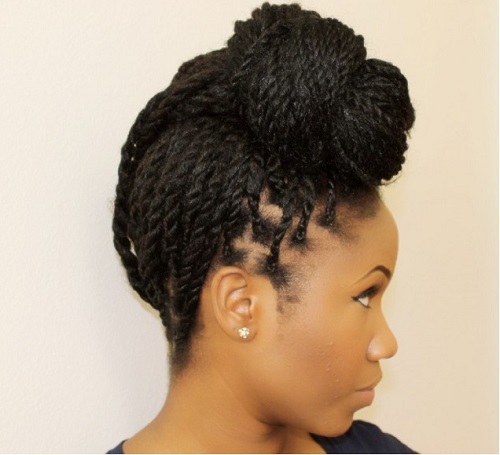 Similarly, feel free to add a few sweet details to your braided crown hairstyle. For example, you can place a few small flowers through the braids for a bohemian look. Alternatively, add two or three rhinestones for a sparkling effect. As far as popularity is in discussion, fishtail braids are just as trending as half up homecoming hairstyles. Here you can see a fun way to implement them into your hairstyle. Weave two large fishtail braids on each side and wrap the rest of your hair into a chignon. 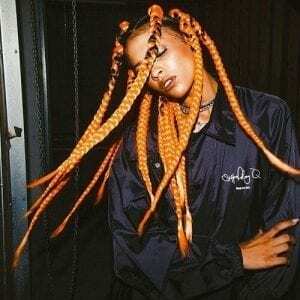 Braids can also help you achieve looks that you might not sport otherwise. 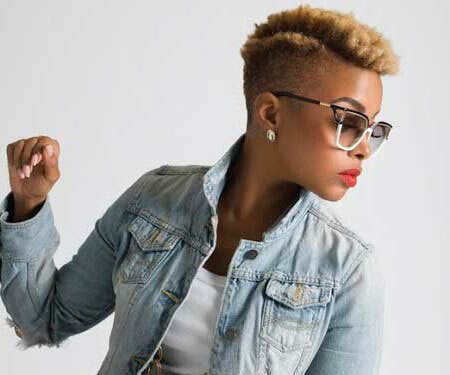 For instance, this is how you can accomplish an elegant faux hawk without the radical change that a real mohawk comes with. Tease, pin, hairspray and you’re good to go! We have a lot to owe to celebrities for inspiring us on countless occasions, especially with their iconic style staples. For homecoming, you can try this half up half down hairstyle if you have thick hair. Ariana herself would be proud! 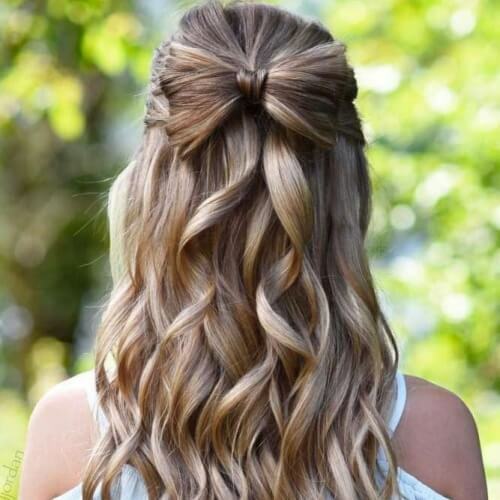 Hairstyles with ponytails or braids delicately swept to the side are more than welcome for homecoming. If you don’t want a simple, 3-strand braid, you can consider a wide fishtail braid for the lower part. If you dream of an unforgettable half up half down hairstyle for homecoming, look no further. What can be more wonderful than designing a flower in the middle of your hair? With a bit of practice and patience, your locks can shine throughout the night. 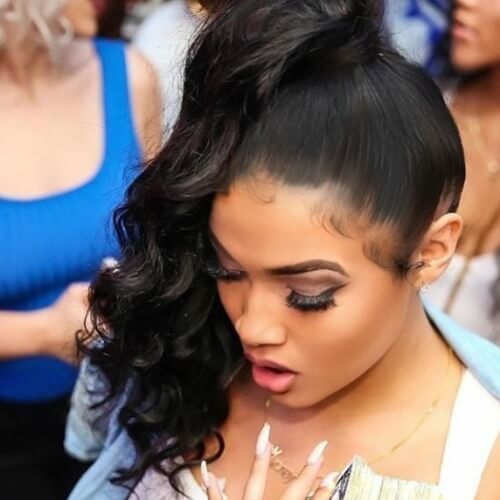 Yet another superb homecoming hairstyle for curly gals is this ponytail with twists. 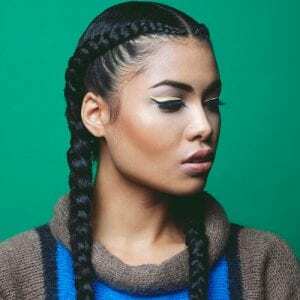 Take two pieces of hair above each ear and twist them with a cornrow-like effect. Leave a larger portion fluffed on the top and wrap the rest in a huge ponytail. A side swept hairstyle that also helps you enjoy plenty of volume is easier to get than you think. Pick your favorite braiding technique, then start pulling it apart gently. Once you get halfway through, unravel the rest and sweep it all to the side. 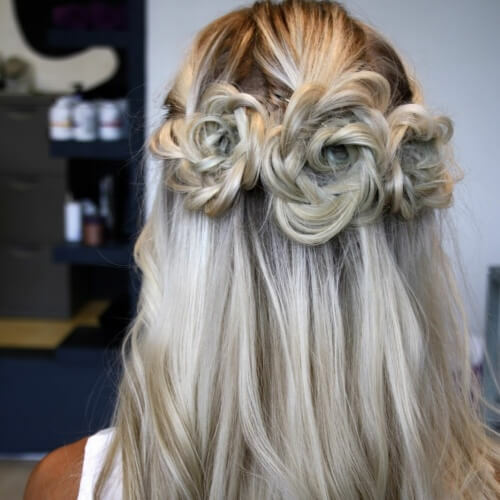 If you’re wearing a strapless dress to homecoming, you can play around with these kinds of hairstyles. 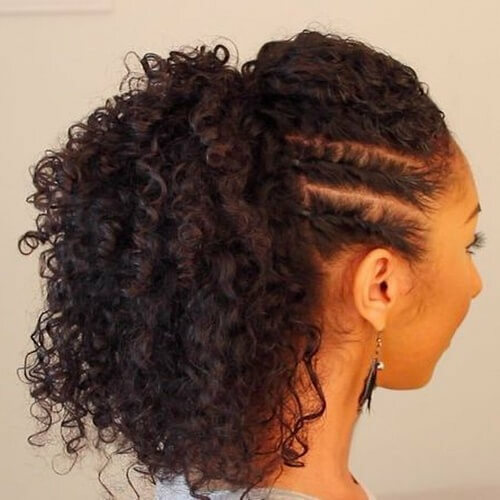 This one basically has two double Dutch braids that end in a twisted bun at the back of your neck. You can also braid the main part of your updo entirely. To highlight the updo, think about slicking down the rest of your hair and concentrating on knotted braids in the top part. Add some pearl earrings and get ready for the compliments! 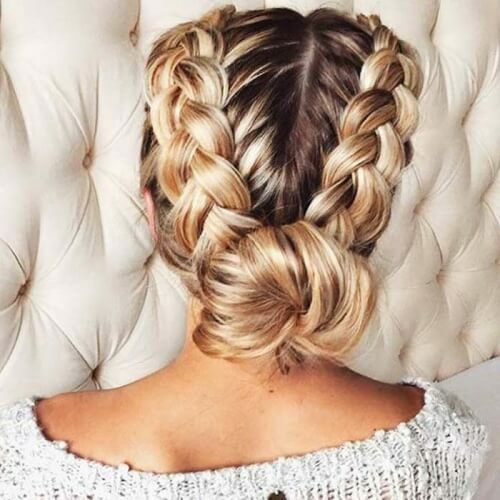 Even French braids look astounding when they’re messy. This long and luscious braid shines through effortless glam. Although it works for any kind of long locks, you can boost your chances of getting flawless results if your hair is naturally thick. If you’re torn between twists and braids on your homecoming hairstyles shortlist, why not combine them? You can part your hair half up and twist a few strands on each side. After that, braid the rest of the top part in a pretty pull through braid. Simple as they may seem, high ponytails have a charm of your own. If you want to glamorize yours a little for homecoming, it’s as easy as styling it to the side. You can also keep the loose curls in mind for a stylish touch. 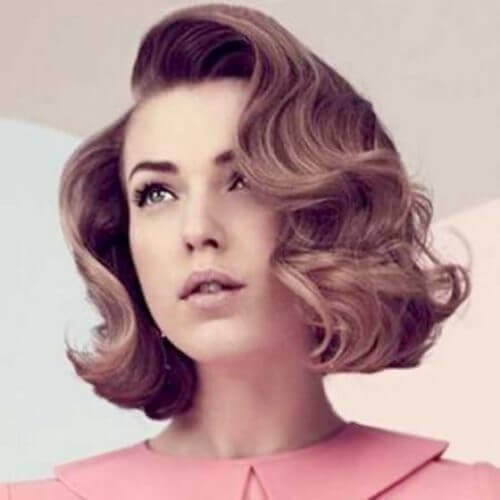 You can never go wrong with retro or vintage hairstyles. They are literally defined by elegance, and they don’t involve endless bobby pins lost in your locks. If you opt for this style, make sure that your finger waves are soft and in strategic places, like around your face. For a more casual approach to your homecoming hairstyle, have fun with this cool look. Take the top part of your hair and make a loose French braid. 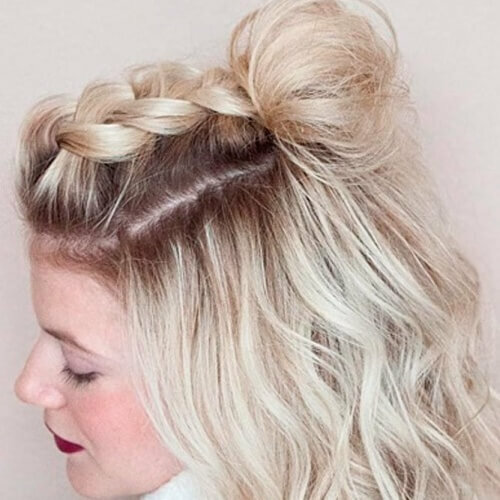 When you get to the end, style the rest in a teased top knot. Another way you can rock a pull through braid for homecoming is with a few accessories. 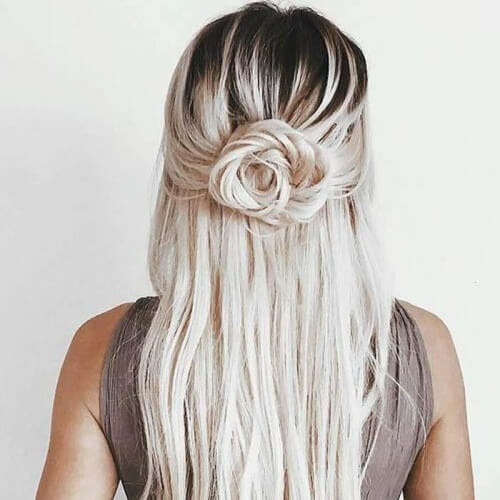 While we don’t recommend using large pins if you already have a complicated braid, you can sprinkle a few small ones in. Dare to not meet expectations by styling your hair completely to the side. If you’re not in the mood for a simple side swept hairstyle, get a loose diagonal French braid. 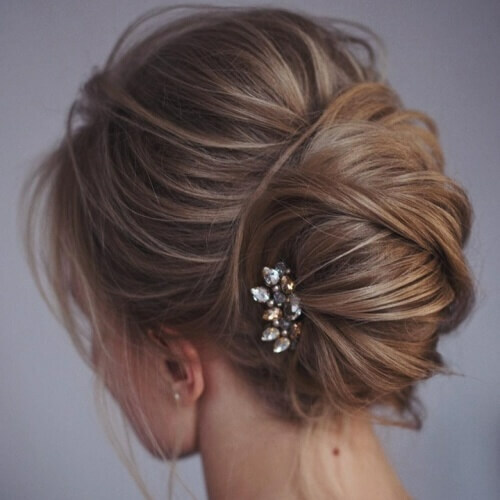 The side chignon is the icing on the cake for this look. 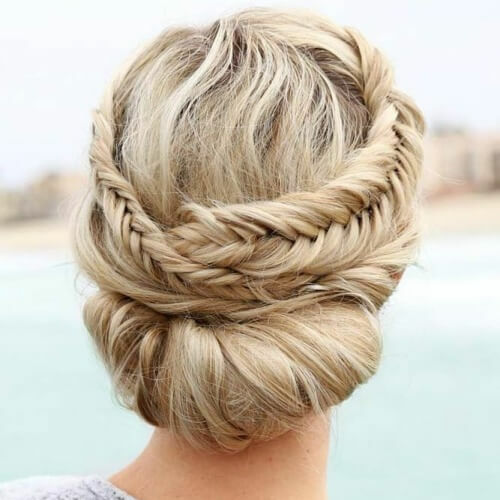 On the other hand, you can go for a French twist instead of a French braid. This is clearly one of the fanciest updos on our list, while still shining through modesty. We also adore the cute pin with crystals on the side. Another strapless dress must-have is the timeless low ponytail. While it may seem a bit informal for homecoming, you can pull a few strands and tease the back to give it an elegant touch. With this hairstyle, we recommend small earrings. 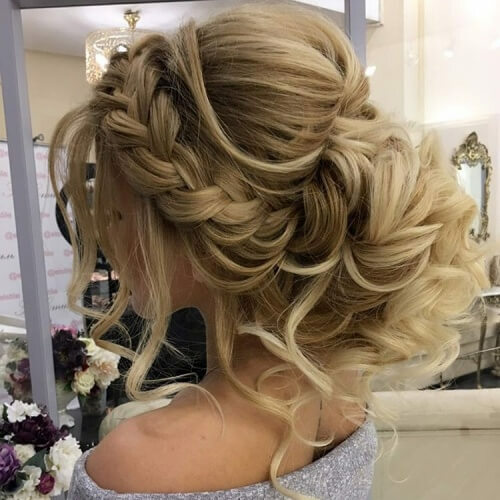 This particular hairstyle is so lavish that it’s perfect not only for homecoming, but for women attending cocktail parties or weddings. We recommend rocking it without the white pin so you don’t get a bridal look. If you’re ever in doubt, choose a large bun for homecoming. 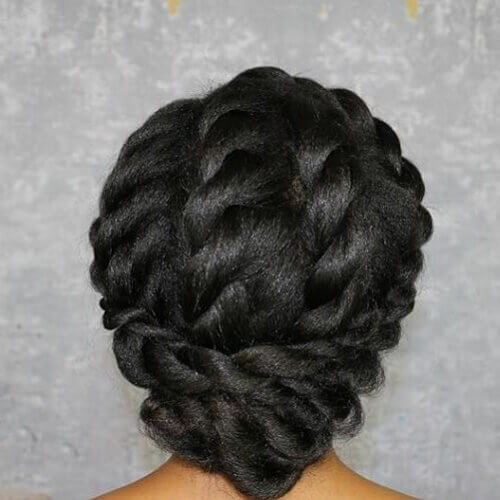 If you feel it’s not enough, create a braid around the bun to make it stand out. It’s a classic choice that will never go out of fashion, regardless of current trends. Bring out your inner bohemian gal with this carefree and charming hairstyle. 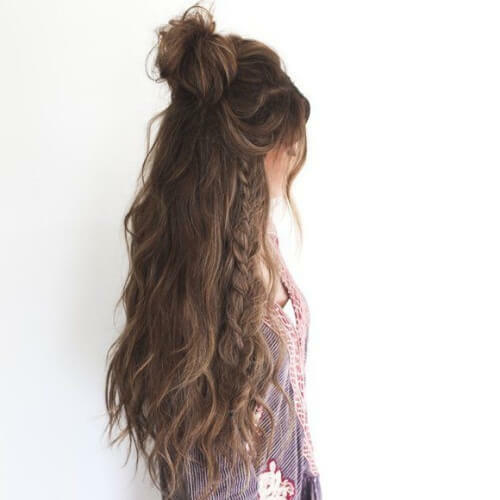 It’s based on a loose half up top knot, but the truly enchanting part is the messy braid created casually on one side. 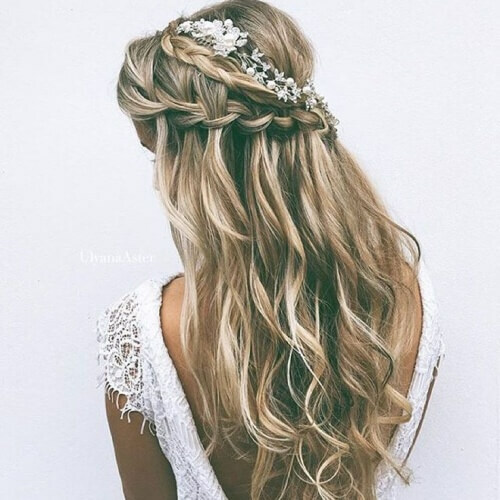 Don’t hesitate to consider this hairstyle if your dress has a bohemian touch to it. If you want to go accessory-free in your hair, you can always re-create a hair piece directly with your locks. For example, a horizontal French braid can end up looking like a brilliant headband. Go for this if your hair is naturally straight. Mixing braids can not only result in an irresistible hairstyle, but also a fun preparation process. Feel free to combine any braiding techniques you can think of, or use this photo as inspiration for your look directly. 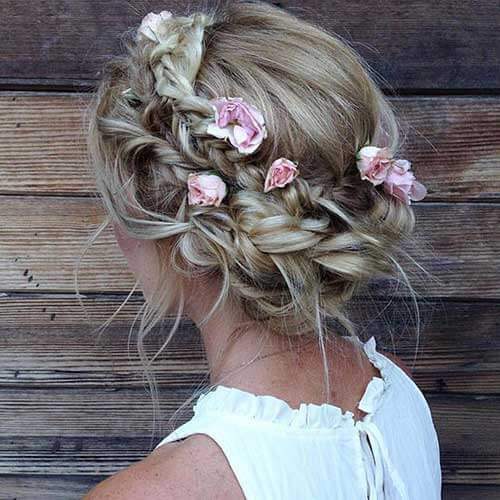 What can be more special than a flower braid? Three! This is a hairstyle that’s impossible to miss, owing to the uniqueness of the design. Be prepared to set aside an hour or two just for your hairstyle, but we promise that the end will be worth it. For an out of the box approach to your updo, think about creating a reverse braid. Odd as it may sound for somebody who has never heard of it before, it involves just French braiding your hair upside down. Style the top at the end in your favorite updo fashion. If you struggle with thin hair, this is yet another life-saving hairstyle you should think about for homecoming. The secret to success here is all about the teasing and hairspray, as well as the curls for added volume. Lastly, classic is always guaranteed to make you shimmer at homecoming. You would be surprised to know how big of an impact a simple low bun can have on your appearance. It’s solid proof that you’re a woman-to-be with fine tastes. To sum up, homecoming hairstyles come in all the shapes, sizes and designs you could ever hope for. 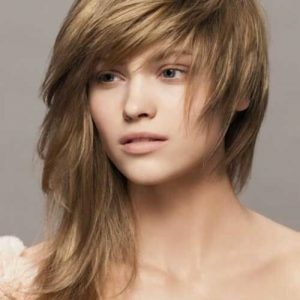 No matter if you have short or waist-length hair, there are tons of adorable options you can test out. Make sure that you choose a hairstyle that complements your makeup and dress, without overdoing anything. If in doubt, scroll through our list for endless inspiration. Tell us what hairstyle you chose in the comment section below, and have fun!